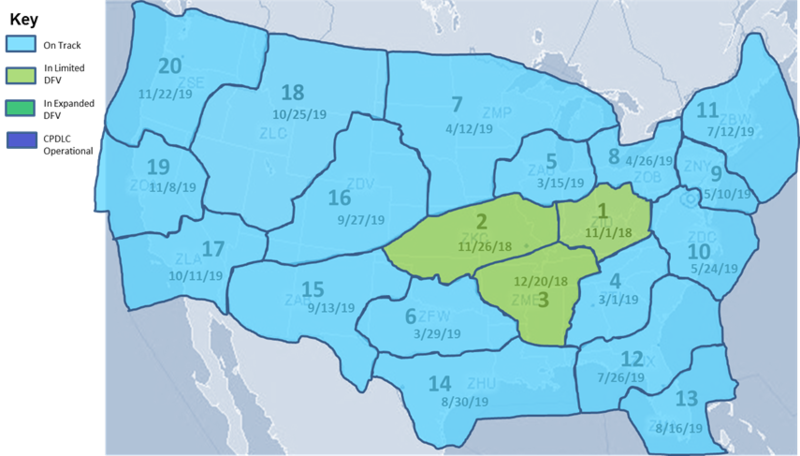 The United States is rolling out En Route FANS CPDLC during 2018-19, for all equipped, trained and permitted operators. The FAA’s Advisory Circular AC 90-117 outlines the requirements for U.S. operators. Trials have begun with KZID/Indianapolis going live with 24/7 ops starting last week. We also understand that KZME/Memphis and KZKC/Kansas City are still in the testing phase with CPDLC and voice read back happening 1-2 nights per week during the midnight shift. The FANS logon is “KUSA” for the entire country and you may logon at any time. 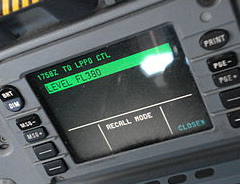 The CPDLC connection will become active after departure, and the crew is notified via a welcome message uplink. If En Route FANS CPDLC enabled airspace is active, you will stay logged on. If the aircraft transitions from En Route FANS CPDLC enabled airspace into non-Data Link airspace with an active CPDLC connection then the connection will terminate approximately seven minutes after exiting. To participate, file “DAT/FANSE” in Field 18 of the ICAO Flight Plan. Equipment required is VDL Mode 2, indicated as “J4” in Field 10a of the ICAO Flight Plan. (1) The operator uses FANS DCL via the “DAT/1FANS2PDC” preference in Field 18 of the ICAO Flight Plan. In that case, update the preference to “DAT/1FANSE2PDC“. (2) The operator uses FANS DCL via the FAA’s Subscriber Database. In that case, the operator will want to add the entry “DAT/FANSE” in Field 18 of the Flight Plan. Domestic En Route FANS CPDLC enabled airspace will be seamlessly integrated with foreign (Canadian) and Oceanic FANS CPDLC enabled airspace. The Oceanic Clearance will not be delivered via FANS CPDLC. 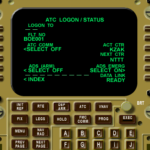 You will still need to request the clearance via AFIS/ACARS or obtain it via voice. Have you had the chance to try it out recently? Let us know!